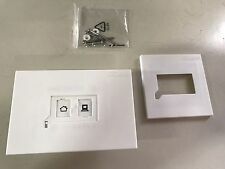 Questa presa modulare RJ45 Cat 6 con ausilio di inserimento può essere utilizzata per cavi di rete interni di tipo rotondo. Consente di terminare facilmente ed in sicurezza il cavo lan Categoria 6 esattamente alla lunghezza desiderata. Adatto per il cavo, modulo, tipo di cablaggio e altre connessioni jobs. Per Network, DSL and ISDN. 35 mm DIN Universal Hutschienen Halter für Arduino Raspberry Platinen bis 75 mm. 35mm DIN Universal Hutschienen Halter für Arduino Raspberry Platinen bis 120 mm. Die Halterung wird einfach auf die Hutschiene gesteckt. Installation iobroker Verkauft wird hier ein CC2531 USB Dongle der ohne die Zigbee Cloud funktioniert. CC2531 USB Dongle als Coordinator geflasht. CC2531 USB Dongle. Installation FHEM Der Spezialist für nanoCUL, Jeelink und ZigBee. 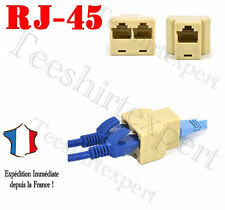 COUPLEUR / DOUBLEUR ETHERNET - SPLITTER RJ45. 1 X DOUBLEUR ETHERNET. 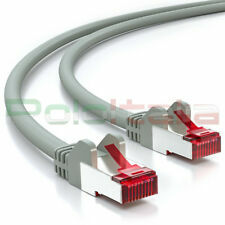 Questo cavo di rete Ethernet categoria 6 (CAT 6) schermato S/FTP in CU (rame puro 100%) e guaina LSZH (esente da alogeni) permette la trasmissione di dati ad alta velocità. Cavo patch cord indispensabile per il collegamento ad internet e per le reti cablate. 1 Presa 2X RJ11 ADSL / VDSL. 1 Placca quadrata per scatola tipo SIP ( per cassetta nella foto ). INVIERO' ANCHE LA SCATOLA DI DERIVAZIONE RETTANGOLARE ORIGINALE PER ESTERNO SULLA QUALE POTER FISSARE LA PRESA. 1Presa RJ11 ADSL / VDSL. 1 Placca quadrata per scatola tipo SIP ( per cassetta nella foto ). INVIERO' ANCHE LA SCATOLA DI DERIVAZIONE RETTANGOLARE ORIGINALE PER ESTERNO SULLA QUALE POTER FISSARE LA PRESA. Modèle AWUS036NHR. Type d'antenne 5 dbi Connecteur RP-SMA, 2.4GHz. Gain 5 dBi. 1 × antenne 5 dBi. Puissance Maximale 2000 mW. Interface USB v2.0 Mini USB. Sous-type Clé USB réseau. 1 × câble USB. (Service) (voice) from the ADSL signal (data) allowing the simultaneous. Splitter professionale CLSP-008. Splitter CLSP-008 ( con morsetti maggiorati ). ADSL band attenuation (32 KHz – 2,2 MHz) > 55 dB ADSL data connectors 1 RJ11. 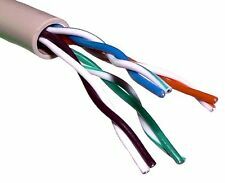 Molex KK seriesPart No. 08-50-0032 (RS Part No. 467-598). How to crimp Molex JST HRS AMP RC servos. PC HDD Power Connectors. PC Header connectors. P4 connectors. PCI-E connectors. ® technology. You can now easily mount your Sky Q Booster using this discreet & sturdy custom-made bracket which will take up less space while still leaving the sleek design of the booster visible & accessible. TP-LINK EAP115 NUOVO. standard wireless IEEE 802.11n, IEEE 802.11g, IEEE 802.11b. funzioni wireless. Funzioni wireless SSID multipli (fino a 8 SSID). Attiva / Disattiva wireless Radio. Wireless Schedule. Eminent EM4405 R2. Mini Network Switch. Modalità Network: Switch. In caso di restituzione Regole sulla Restituzione. Il materiale è NUOVO. 40126 Bologna. Via Augusto Righi, 32. Arlo ABB1000. 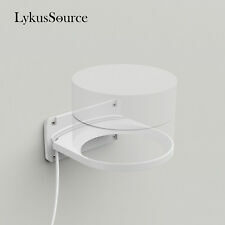 Connectivity technology: Wireless, Wireless technology: Wi-Fi, Product colour: White. Expand your Arlo Security Light System. Prodotti 100% originali, nuovi di zecca - eeemarket non vende prodotti usati o contraffatti - MAI! 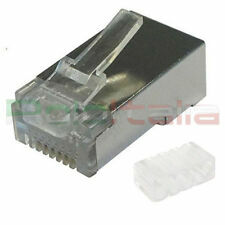 Iniettore POE 8 porte passivo compatibile 5V 12V 24V 48V. Tramarin snc Via I Maggio 10 37040 Pressana VR 0442 411447. 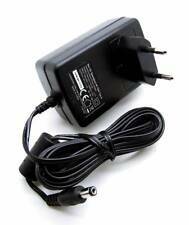 Iniettore POE 8 porte passivo compatibile 12V 24V 48V. Tramarin snc Via I Maggio 10 37040 Pressana VR 0442 411447. Antenne 6 parabole 13 dBi à connecteur RP-SMA 2,4 GHz. Gain de l'antenne 13 dBi (parabole). 1 × antenne parabole 9 dbi avec son câble de 1m et son socle. Puissance maximale 2000 mW. Puce Wifi Ralink RT3070. The PLANET VC-234 is an Ethernet-over-VDSL2 Bridge with high performance. 4-Port Ethernet over VDSL2 Bridge. Standard ITU-T G.993.2 VdSL2. The VC-234 has built-in POTS splitter to share the existing phone line with POTS; therefore it is no need of replacing the existing copper wiring. TP Link Smart Plug HS100. Condition is New. Dispatched with Collect plus. 3 available, price is per item. The TurboTenna WiFi Antenna. 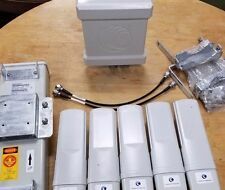 NextG USB-Yagi antenna kit Internet Sharing. It is also slim and light weight that you could carry it in a traveler bag. upgrade kit for the USB-Yagi TurboTenna. You might need an extender cable if you want to put your USB-Yagi TurboTenna to a sweetspot at a far end for reception. The VC-201A has built-in POTS splitter to share the existing phone line with POTS, therefore it is no need of replacing the existing copper wiring. lt is ideal for use as an Ethernet extender to an existing Ethernet network. Mfr Part Number: ARCHER T6E. Easy Installation - Upgrade your desktop system easily by plugging the Archer T6E Wi-Fi adapter into an available PCI-E slot. Reception Sensitivity Superbiiz is your best friend! Technical specifications for TP-LINK HS100 Smart Plug. Box contents - TP-Link HS100 Smart Plug. To get started, all you have to do is connect the Smart Plug to your WiFi and plug it into a standard socket. OSRAM 73692 Sylvania Wireless Lightify Gateway Hub. Condition is brand new, never used, never powered on. Came with my light kit but I only need the bulbs. Dotato di connettore rp-sma. Lunghezza pigtail 30 cm. CONNETTORI RP SMA female - N male DORATI. Per le vostre antenne professionali con connettore N-femmina. 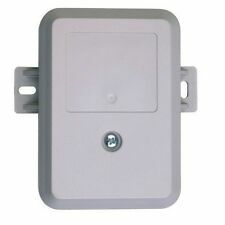 Adattatore WIFI CAVO RF-240. Il cavo è il famoso RF-240 super low-loss doppia schermatura, noto per la bassa attenuazione, solo 0,30 dB/m a 2,4Ghz (la frequenza di lavoro delle reti wireless), ottimo anche per utilizzo a 5 Ghz. Fertig installierte 16Gb class10 Micro SD mit Debian/Raspian und Domoticz. OFertig installierte und betriebsbereite Lösung für Ihr Zuhause zur Automatisierung und Überwachung. Das Betrifft den RasPi und die MicroSD-Karte. 1 X Hak5 Lan Turtle SD. Everything the LAN Turtle does is a module, and you can download new ones right to the device from the module marketplace. Keen on writing a module?. Code one in bash, python, or php with a dead simple API. Expands 5 USB 2.0 ports - 3 internal and 2 external connectors. Connectors: 1x USB 2.0 Header, 1x Molex. Product pictures may not reflect the most recent product revision. Back To Top. This includes California residents. Mfr Part Number: USB-AC53 NANO. Interface: USB 2.0. Perfect for streaming and gaming -Dual-band support gives you the 5GHz frequency band for smooth 4K UHD streaming and low latency gaming. OS Support: Windows 10/ 8.1/ 8/ 7(32/64-bit). Part No: 603-3420. Full working order. No missing or broken parts. Most advanced Bluetooth 4.0 adapter, backward compatible with Bluetooth 2.0/ 2.1/ 3.0. Bluetooth Low Energy technology for energy-saving wireless connectivity. Standard: Bluetooth V4.0. Interface: USB 2.0. Type d’Antenne Yagi 16dBi connecteur RP-SMA. Gain 16dBi. Antenne wifi longue portée. Interface RP-SMA. (1 ) PMP450 5GHz 60 Degree Sector with Mounting Hardware. CUL 868 oder CUL 433. Die beiden Nano CUL´s sind fertig eingerichtet. original RaspberryPi Gehäuse. Nano CUL 868 MHz oder CUL 433MHz. 16 GB SanDisk Ultra microSDHC Class 10. original RaspberryPi Netzteil (2,5A). What is pictured is generally what you will receive. While we endeavour to use pictures of the actual item, this is not always possible when we have more than one for sale. Keep up to date! Server & Networking Components. Gain 13 dBi. Type Externe. 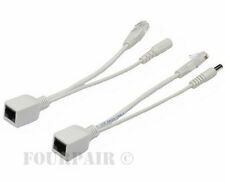 Set Of 2 Ubiquiti POE-48V Ethernet Injector. Condition is New. Shipped with USPS Priority Mail. Look at photos. These came from my husbands office. Email any questions.